Tuscany is a spectacular region of Italy that includes many of the famous cities you’ve seen in movies or read about in books. 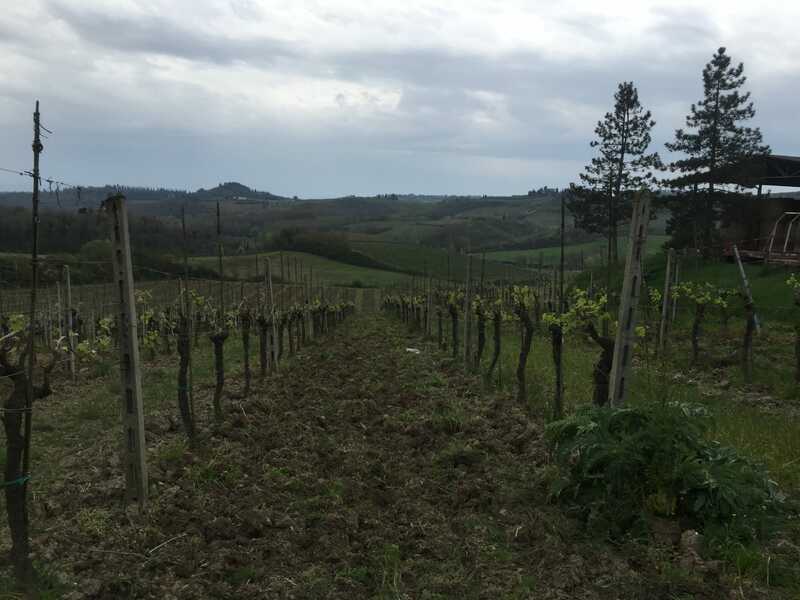 It’s mostly known for the greatest things in Italy, like wine, cheese and olive oil (what more could you want!?). 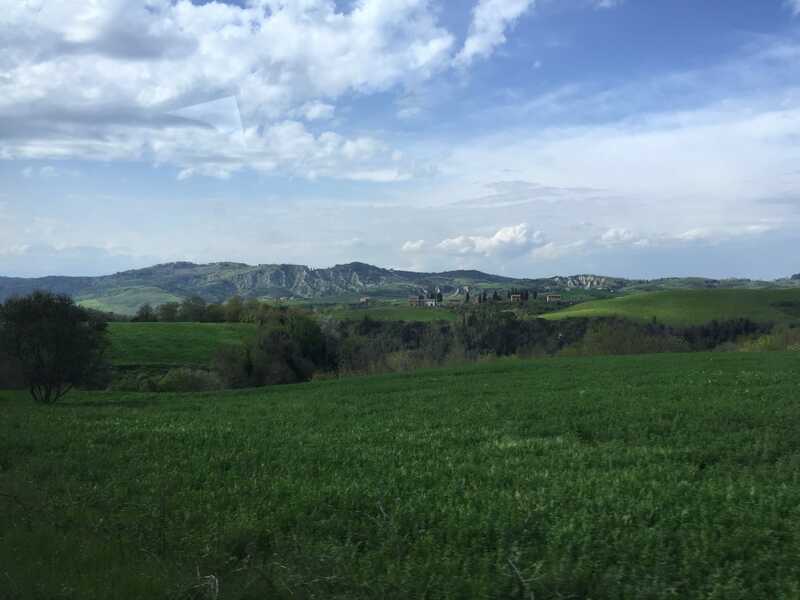 The land itself is incredible, with lots of rolling hills and breathtaking views. 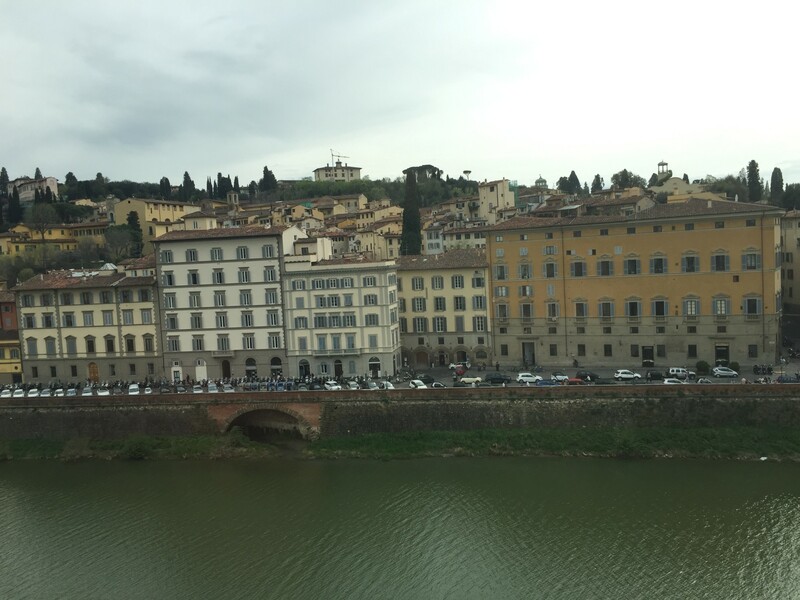 When visiting Tuscany, we chose to stay in Florence, because it gave us easy access to a lot of other famous cities. 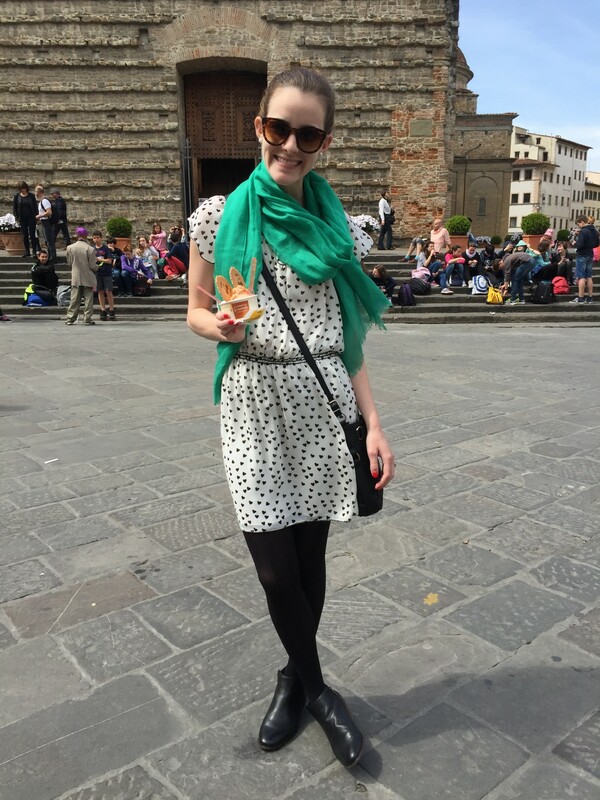 Florence is what I would call a good combination of spunky and historic. It’s unique and vibrant, but also has a ton of incredible art and old cobblestones. There’s so much culture and a bit of a college town feel. 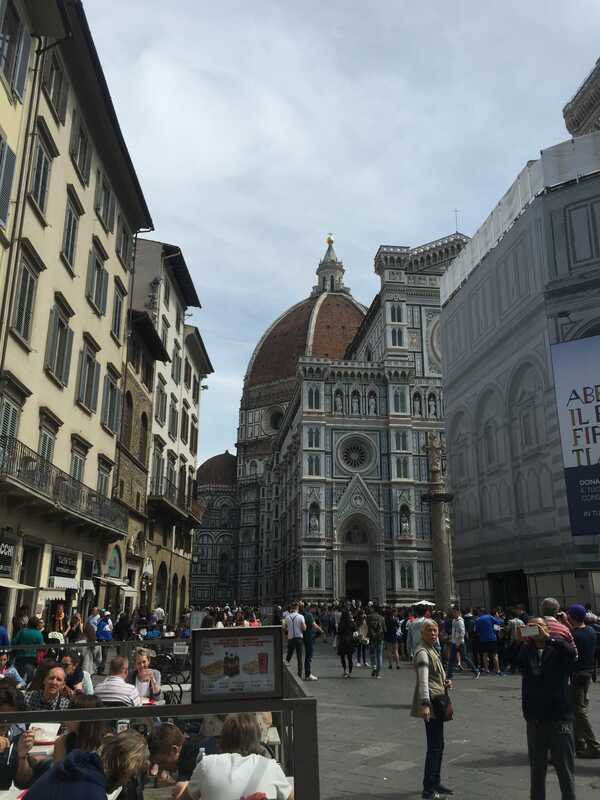 In all honesty, Florence isn’t my all time favorite city, but several friends have said it was one of their favorites. 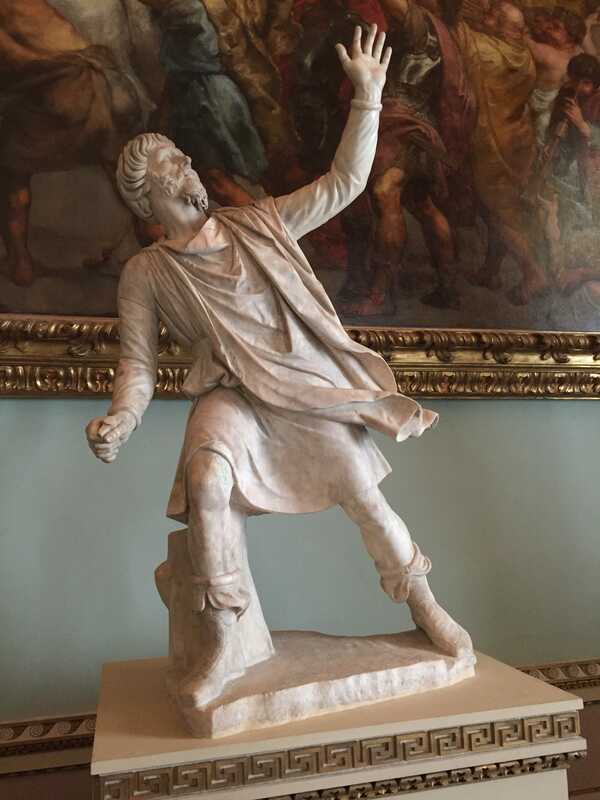 I’d say it’s for sure a must-see when you visit Italy. So. Much. History. 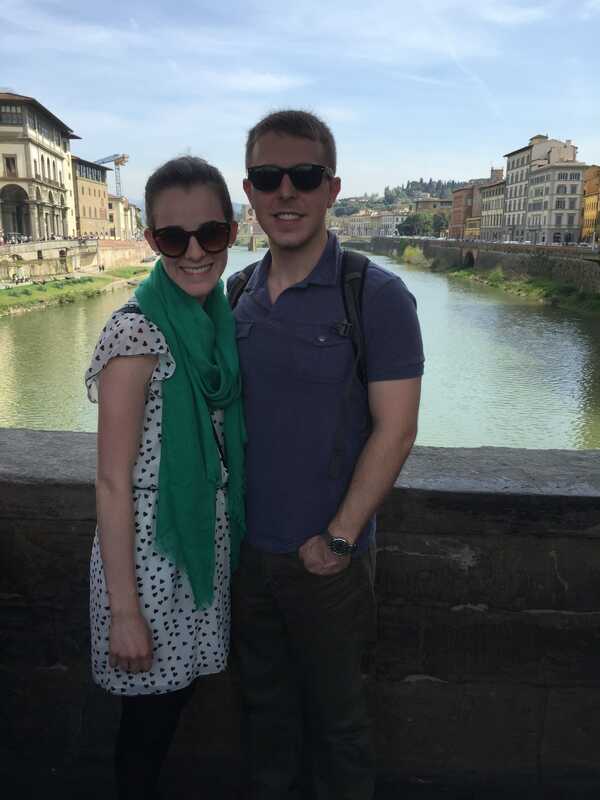 What we loved: Our favorite thing about Tuscany and Florence was the Walkabout Tour. 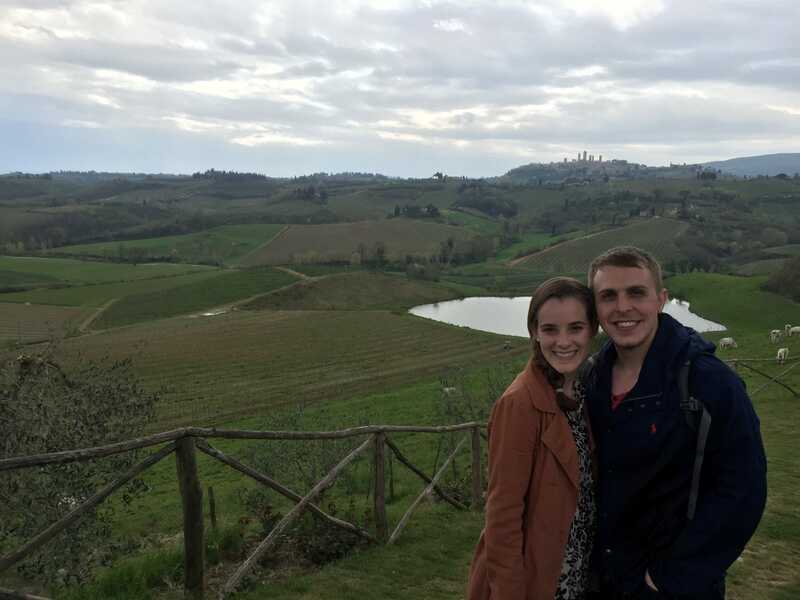 We went on the “Best of Tuscany” tour and thought it was money well spent. 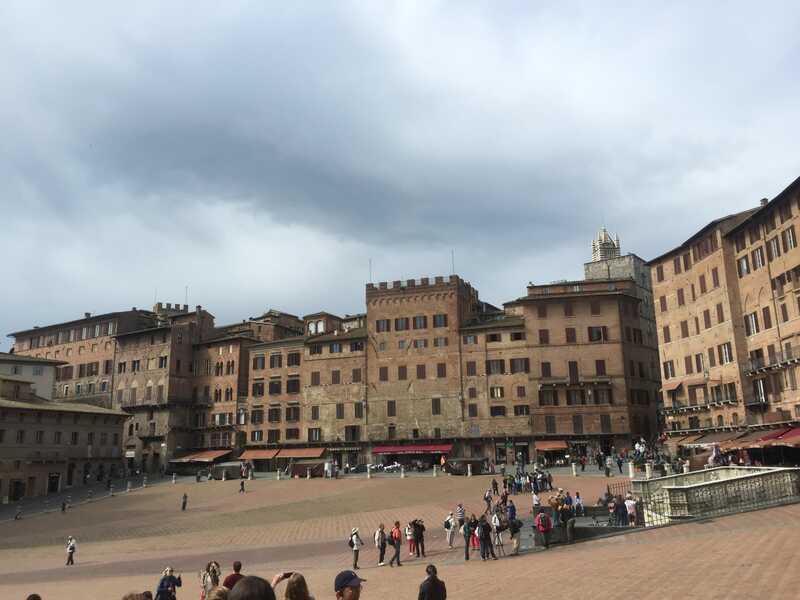 It was incredible to get to see Siena, San Gimignano, Pisa and the countryside all in one day. 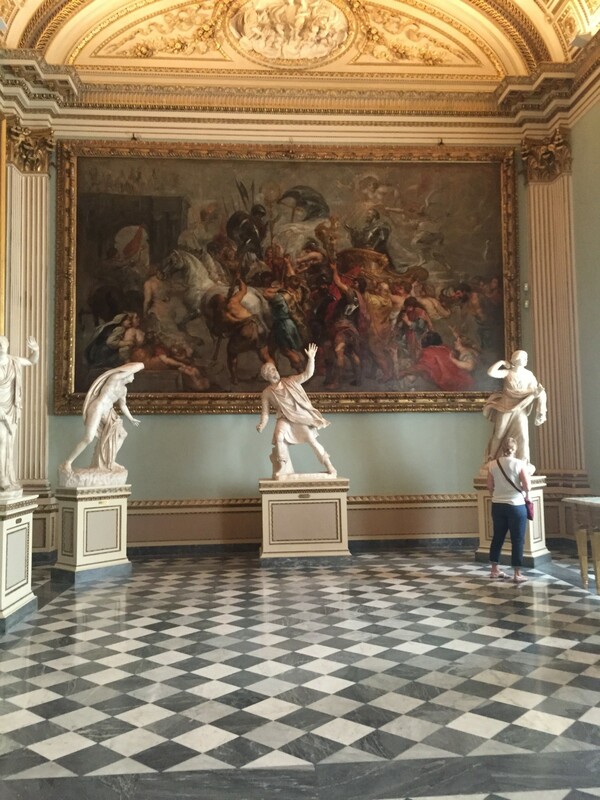 I would highly recommend this tour to anyone going to Florence and wanting to see a lot in just a few days time. The tour bus picks you up early in the morning at the SMN train station and brings you back in the evening. Everything, even lunch at a vineyard and winery, is covered in the original cost. 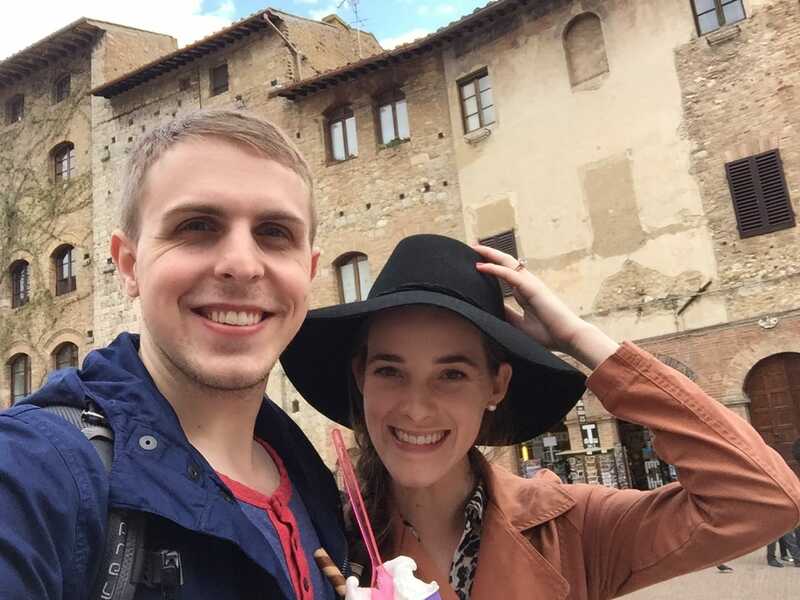 Just bring money for gelato and souvenirs. Out of all the Tuscan cities we visited, our favorites were definitely Siena and San Gimignano. They’re 100% worth the extra effort to visit and you’ll be charmed by their spectacular views and yummy food. The kind of views we had on our bus tour! 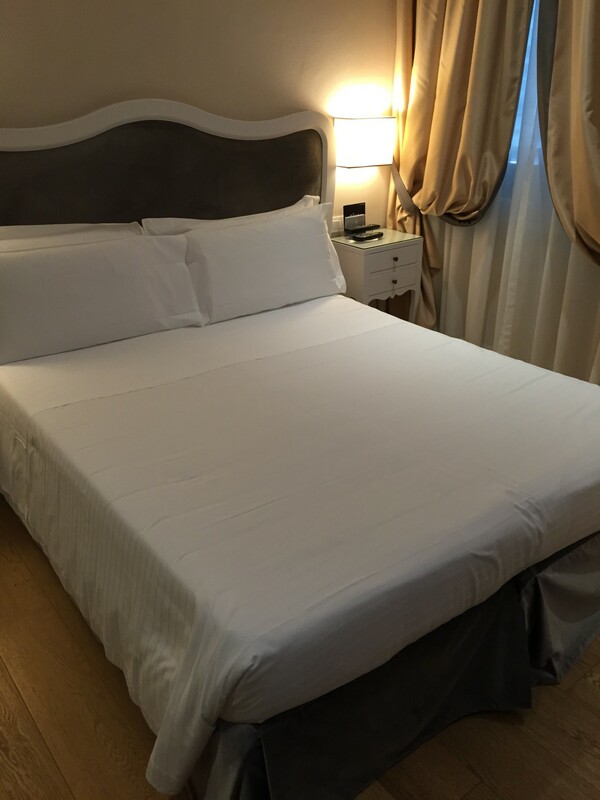 Where we stayed: We stayed at Hotel Rapallo and thought it was great location (easy walk from the main train station), clean rooms and kind staff. They even had a delicious breakfast and afternoon tea included in your hotel stay. 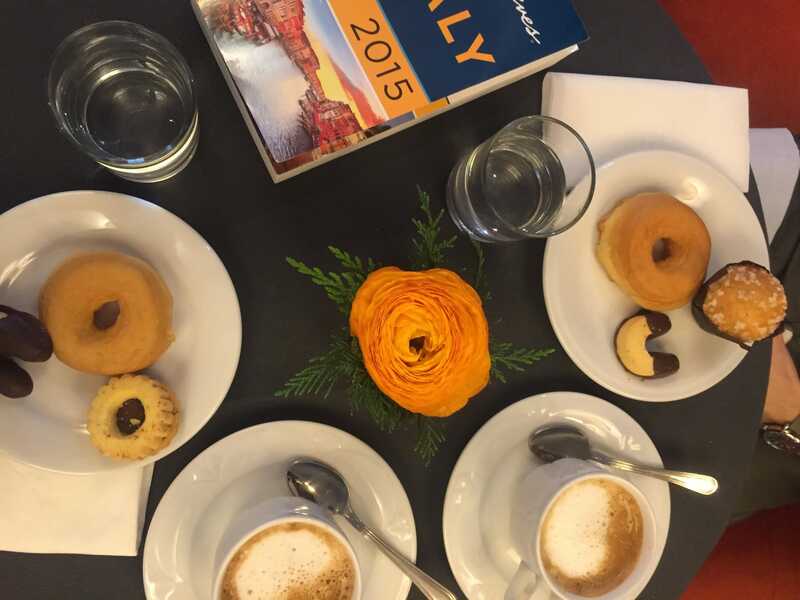 A friend and her family stayed in Hotel Lungarno and really loved it. 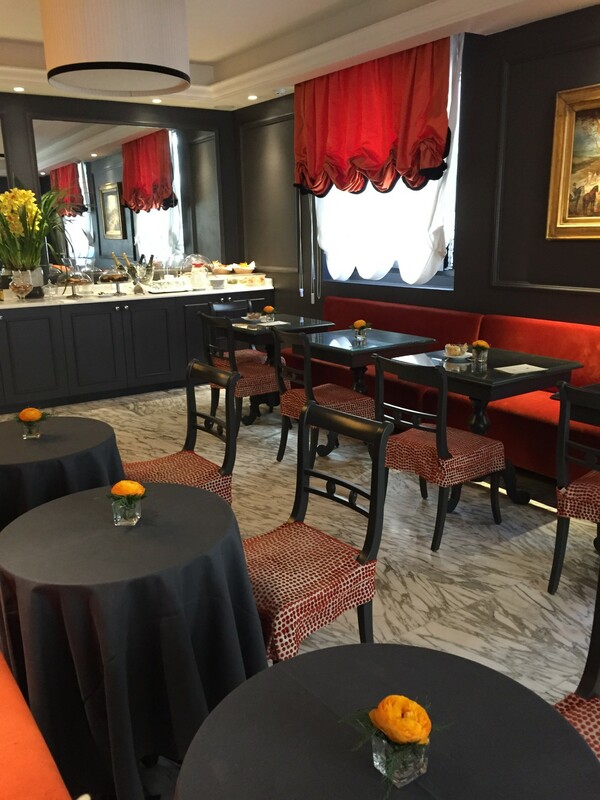 It’s a gorgeous hotel near the Ponte Vecchio and other must see sites in Florence. Another friend stayed at the Bed and Breakfast Locanda di Mosconi, which they said was their favorite hotel of their Italian adventure. They went over the summer and said everything was new, staff was friendly and they felt safe. 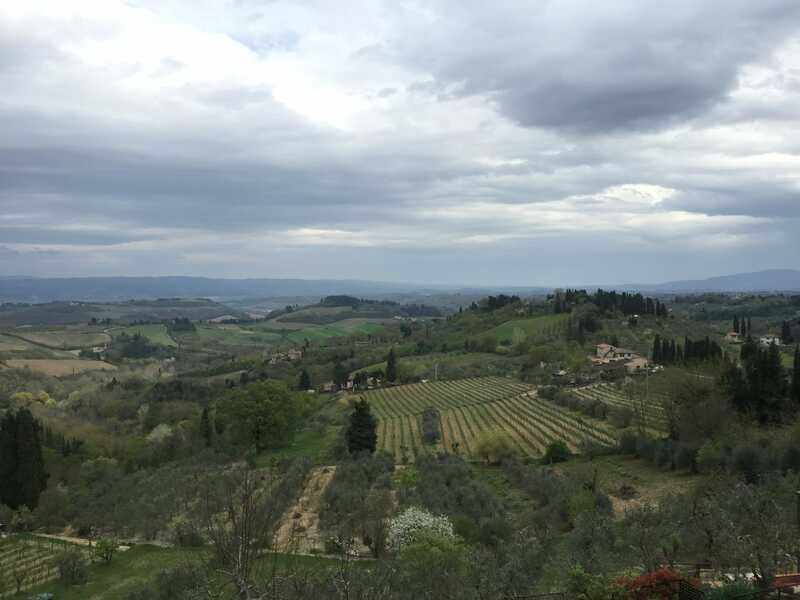 Next time we visit Tuscany, I think we may consider staying in Siena or at a winery. A co-worker told me that they have even stayed at a goat farm in the Tuscan countryside! A room with a view is really all I want! How long we stayed: We stayed 4 days, but you could easily stay longer. There were so many other cities we could’ve visited with more time, like Livorno and the coastal region. 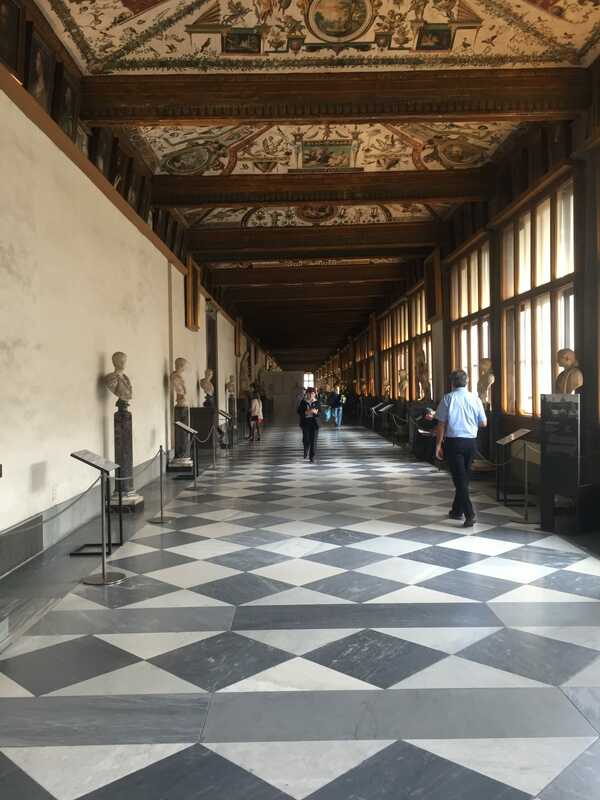 Favorite sites in Florence: Besides the day tour, we really love the Uffizi Gallery, which you could spend days admiring. Some people like to buy the City Pass online and it helps cut your wait time, but we just bought our tickets when we arrived, because it was the off season (not as many lines). 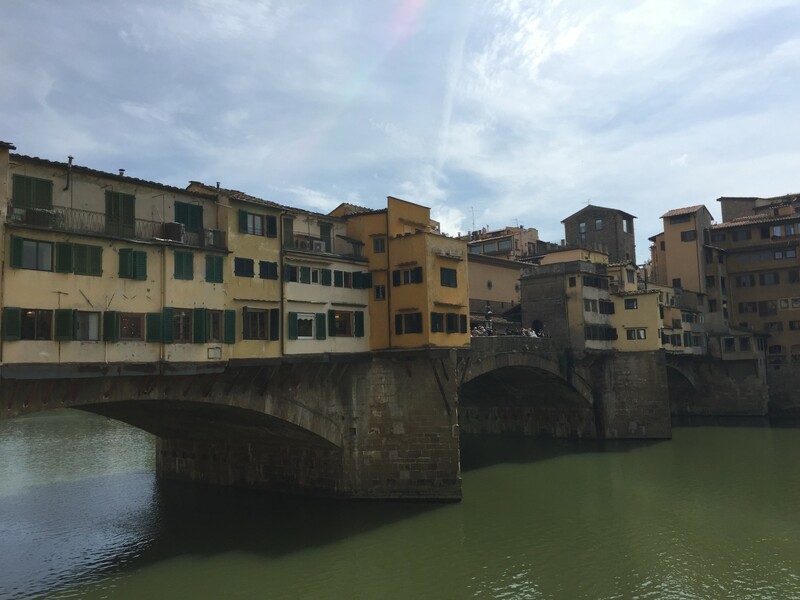 We also loved the Ponte Vecchio, which is any area of really cool shops and river views. 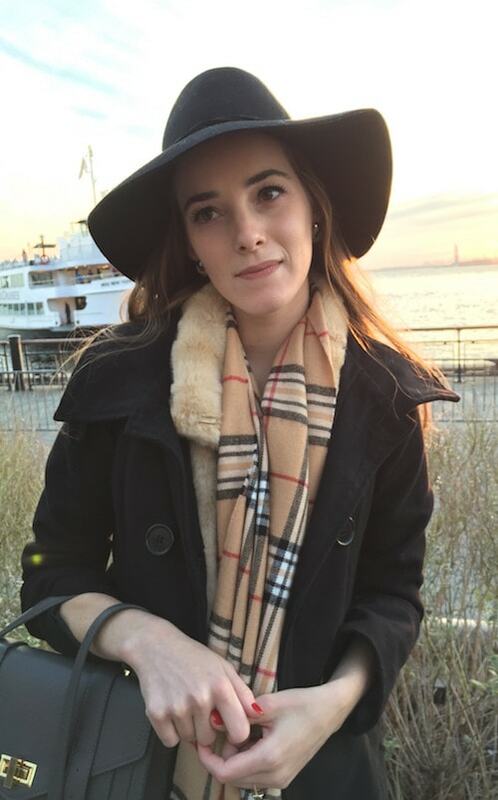 You must take a picture on the wall next to the river and check out the market nearby. The Piazzale Michelangelo is a really interesting spot to people watch, haha! We never made it to see David, because we had to cut out something. We’d heard mixed reviews about David, but if it’s on your list, definitely go see it! 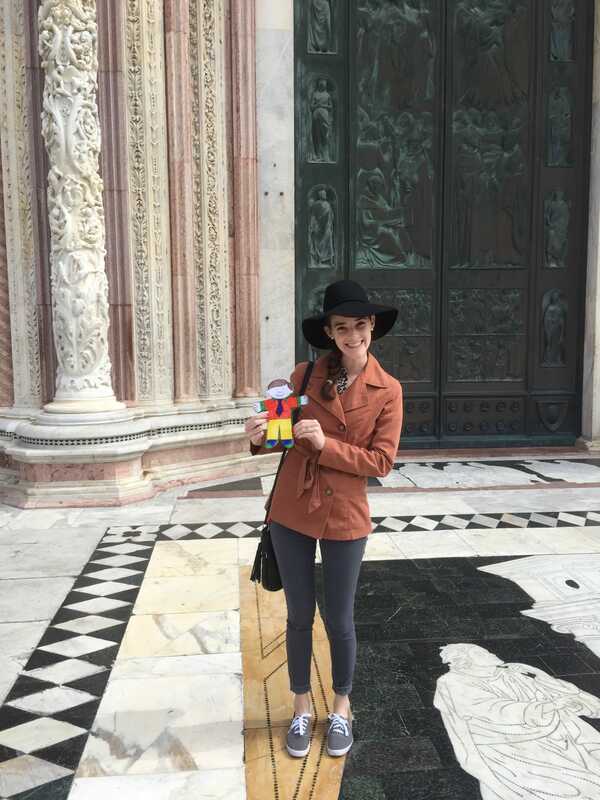 There are also tons (and I mean TONS) of gorgeous cathedrals that we just loved wandering into and checking out all of the incredible Florentine architecture. Those Italians sure know how to make beautiful buildings! 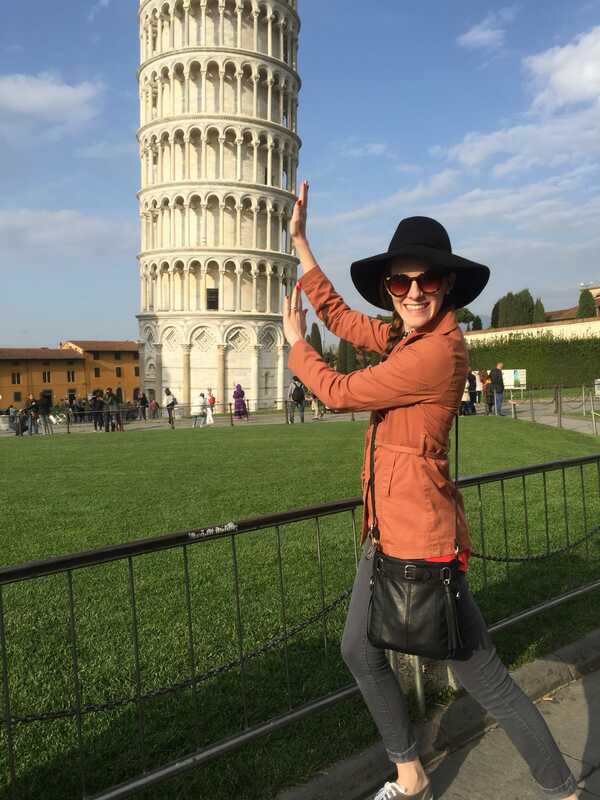 Favorite sites in Tuscany: Definitely check out Pisa for the Leaning Tower (and be sure to take a cheesy picture holding up the tower); Siena for the incredible history and interesting horse race tradition; and Fattoria Poggio Alloro Vineyard in San Gimignano. You won’t be sorry about any of those. And if you want an easy way to see all of those, try the Walkabout Tour. 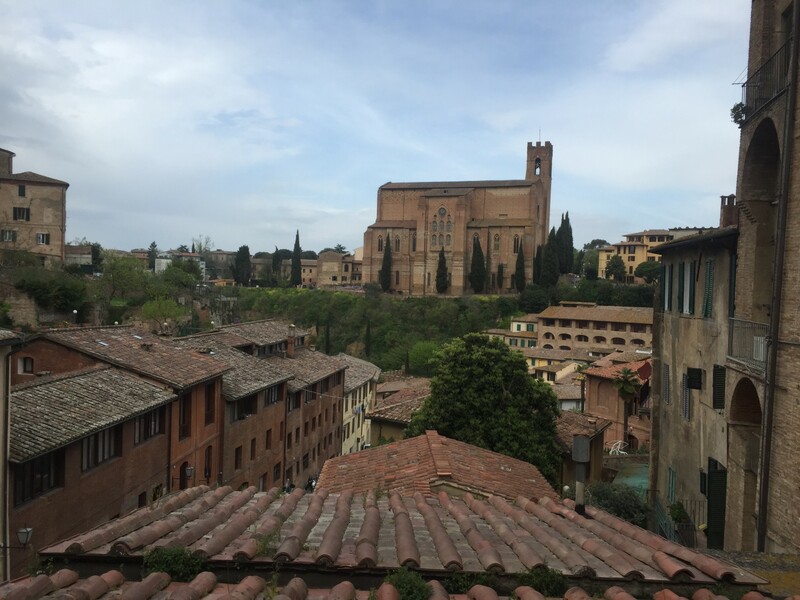 Siena is exactly what you see in movies. 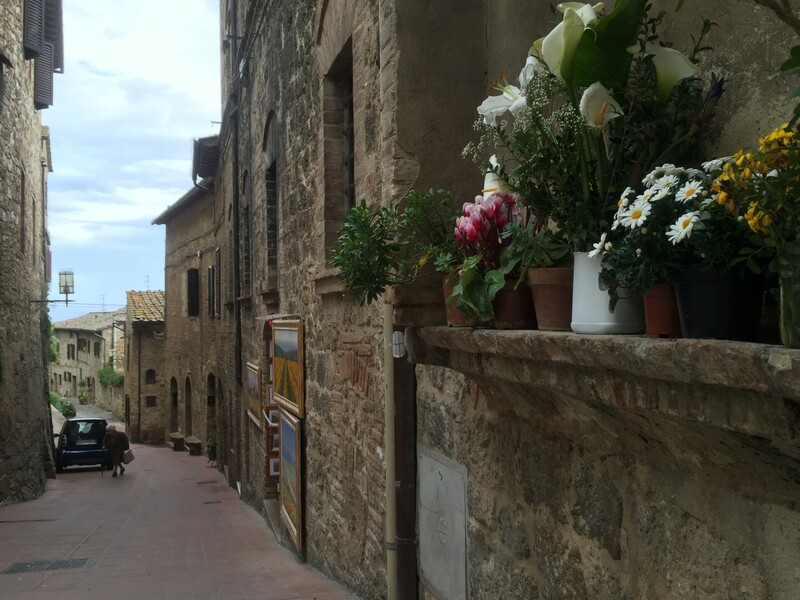 It’s quintessential Tuscany and worth a visit. 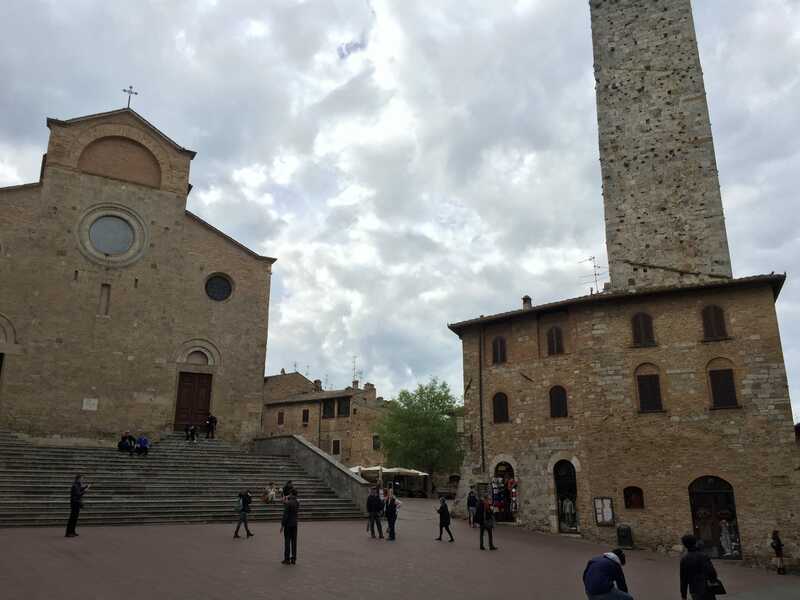 San Gimignano has a really quiant feel, but also holds incredible views of the surrounding countryside. 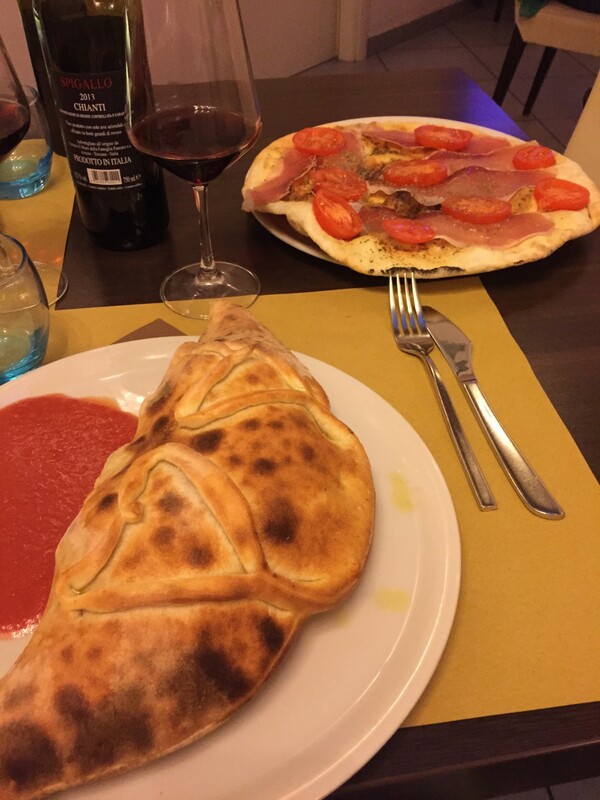 Favorite restaurants: Il Giardino di Barbano was a great restaurant for authentic Italian food and easy take-out. Florence Pizzeria & Food was our first dinner in Florence. They had local wine and tons of food for the price. Caffe degli Innocenti had some excellent gelato and also serves breakfast. 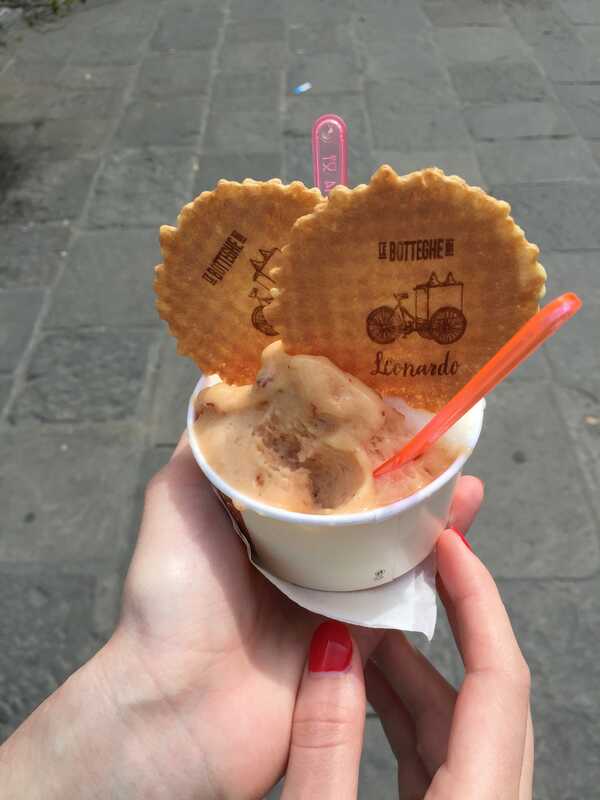 Definitely stop by Le Botteghe di Leonardo for some afternoon treats, chocolates or gelato. The staff was super helpful and the gelato was even better. How we got around the city: Because we chose a hotel that was close to the train station and most attractions, we walked everywhere. We even walked back to the train station to meet the bus that took us on our Tuscany tour. 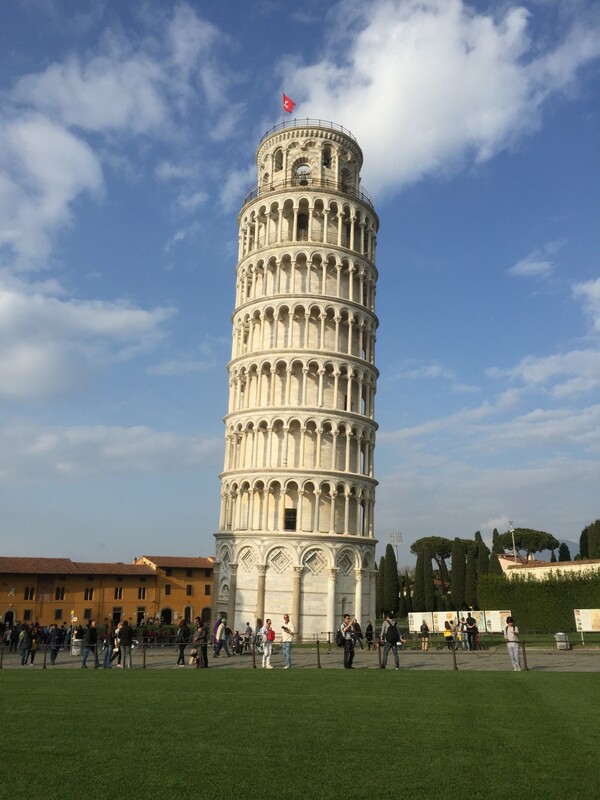 When traveling around Tuscany, we were either on the bus, on foot or took a little trolley in Pisa. Definitely check out all of the antique and book stores in Florence. We stumbled upon an underground book store where I ended up buying this antique print of Venice to add to my travel wall collage. Florence is chalk full of all kinds of shops, so definitely don’t miss those! 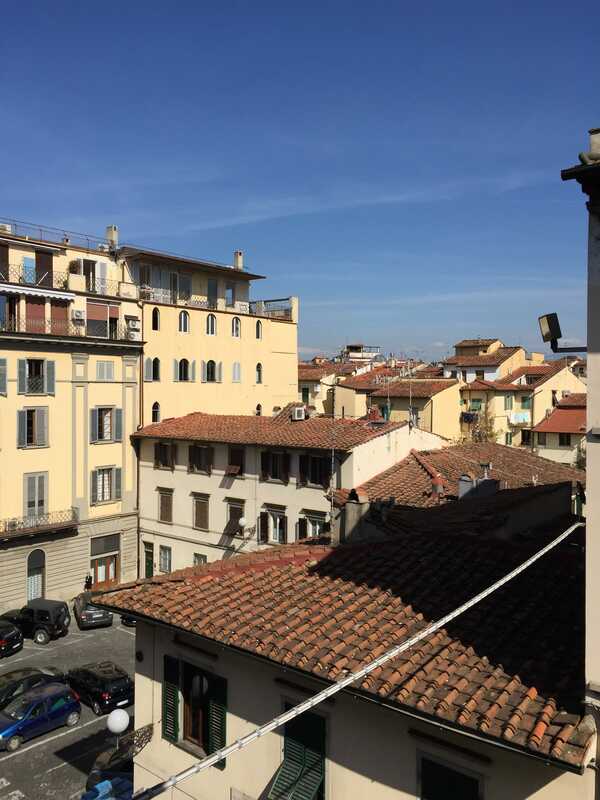 Take advantage of the fact that Florence is so central to lots of great places in Tuscany. Like I’ve said about other Italian cities, the City Pass is only worth it if you are going to take advantage of everything it offers. Make a list of what you want to do and price everything out to see if the City Pass is a good deal. The SMN train station is the main station and it’s pretty easy to navigate. As you would anywhere, be careful with your belongings and just look like you know what you’re doing. Also, Florence was an area where we were especially grateful for our backpacks, because the cobble stones are pretty rough. There was no wheeling bags across those sidewalks.